Who Might Need A Walk-In Tub? Given these scary statistics, its no wonder why people are investing in the best walk-in tubs to help make their bathrooms more safe. 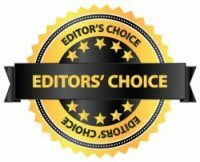 On this page, here at Showersly.com, you’ll find the 15 top-rated walk-in tub reviews of the year, along with a buyers’ guide, to aid you on your search. Upon their completion, you’ll find that picking the best walk-in bathtub for your needs is made much easier. Now lets get straight to it. 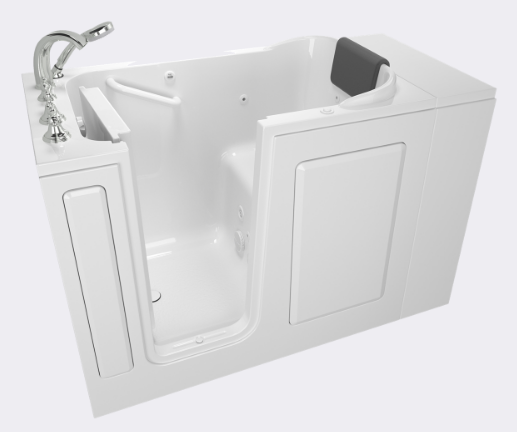 ADA Compliant safety features, a soothing 29 jet hydrotherapy system, and a heated seat & backrest, combine to create 2019's #1 rated walk-in tub. 2 stainless steel grab bars increase bathers' safety, and mobility, while its 28 jet hydrotherapy system, and foot massage, provide spa-quality relaxation. With its safety grab bar, textured floor, and contoured seat, for added stability, this Ariel walk-in bath has all the safety features you look for, but at a fraction of the cost. Two contoured 20" seats comfortably fit you, and your sweetheart. Enjoy hydrotherapy benefits with the Air & Hydro Massage model, or save money with the Soaker model. With its 2 grab bars for increased safety, and its 21" extra-wide seat for added comfort, the Ultimate's design goes above and beyond. Bathers can also enjoy a tasty beverage, while taking a foot bath with this high-end tub. Built for easier wheelchair access, with an L-shaped door, and stainless steel grab bar, the Value Series combines an intelligent design, with an affordable price. Soak in comfort with the Transfer60's extra-large sized wheelchair-accessible cabin, then get on with your day, thanks to its efficient dual drain technology. Have a small space to fill? This wheelchair-accessible walk-in tub features a smaller-sized cabin, yet it packs a punch, with its 27 jet hydrotherapy system. Featuring an extra-wide 35" width, for easier accessibility, this Bariatric walk-in tub provides folks with a wonderful option, when more traditional tubs won't suffice. Enjoy a stress-melting hydrotherapy massage, while you relax in this Bariatric tub's extra-wide cabin, designed for larger individuals. Running low on space? This front-entry walk-in tub saves you room, while providing an alternative mode of entry, when other models are too difficult. Designed for those with more mobility, but who still have trouble lifting their knees, this lay-down walk-in tub provides a door for easier access. A padded neck rest, 13 hydrotherapy jets (6 for your lower back), and an independent foot massage, combine to create one of 2019's top-quality luxury walk-in tubs. ADA Compliant, with a smaller-sized cabin, and without hydrotherapy jets, this walk-in soaker tub has been officially tested for safety, and comes at an affordable price. Designed for smaller-sized bathrooms, but generously filled with relaxation-inducing stainless-steel air & water jets, the Signature Bath walk-in tub packs a punch, in a tiny form factor. As the name suggests, a soaker tub quite simply gives you a place to “soak,” and is often constructed with a deep shape, that contours to your body. 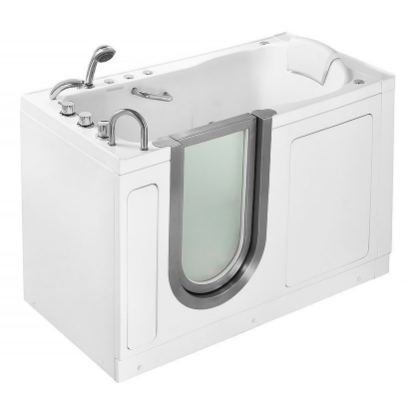 A bariatric walk-in tub is a special type of bathtub designed with an extra-large cabin (width typically > 30in. ), that features a low step-in threshold door. Since bariatric walk-in tubs have larger dimensions than other walk-in tubs, they are especially great for larger-sized individuals, that require a more spacious soak, or more senior individuals, who have trouble maneuvering a standard bathtub. These are sturdy tubs, that can often support up to 600 pounds. A wheelchair accessible walk-in tub is a type of bathtub where the door is designed to be larger than the average, and is L-shaped, so that wheelchair users can safely slide from their chair, to their seated tub. A hydrotherapy walk-in bathtub is a type of walk-in bath that features water jets, or whirlpool jets (interchangeably named). Hydrotherapy refers to the therapeutic use of water. An aerotherapy walk-in tub is a type of walk-in bathtub that has air jets located within its cabin. These air jets provide a soothing-feeling gentle massage, with millions of micro bubbles filled with air. 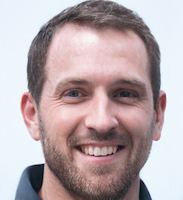 As you’ve probably guessed, aerotherapy refers to the therapeutic use of air. A chromotherapy walk-in bath is a type of walk-in tub that uses a LED lighting system, to enhance relaxation while soaking. Chromotherapy uses the science of colors to adjust body frequencies, or more simply put, the use of colors to improve things like mood, and energy. A lay down walk-in bath is a type of walk-in bathtub that allows you to soak while lying down, instead of sitting. Like regular walk-in baths, lay down walk-in tubs feature a low barrier to entry door, for added safety. Also, please note, lay down walk-in baths require a more mobile user than standard walk-in tubs would. This is because you’ll have to use your arms as supports, and bend your knees significantly to “lay down” and use these tubs. A combination walk-in tub is a type of walk-in bathtub that features 2 or more of the categories above. 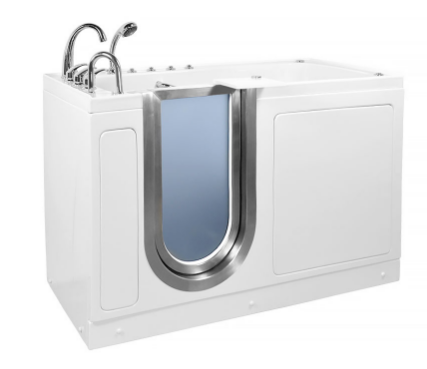 For example, if you’re a larger-sized individual, who wants an awesome hydrotherapy system, you could choose a bariatric walk-in tub with whirlpool jets. This act ensures access to the built environment for those with disabilities, in the form of products that are safer, easier to use, and more comfortable. If you see a walk-in bathtub that is “ADA Compliant,” you know that tub has been officially checked, tested, and regulated for safety. All walk-in bathtubs feature an inward, or outward swinging door, with a step-in threshold that usually ranges from 3 to 8 inches. As a best practice, look for walk-in bathtubs with the lowest step-in threshold as possible, as this ensures less knee bending. Most walk-in tubs on the market today will come with 1-2 grab bars, located either on the inside of the tub, or just outside its swinging door. They are crucial in providing added stability when entering, exiting, sitting down, and getting up from your tub. Since walk-in tubs often hold more water (40-80 gallons on avg.) than your standard bathtub (25-45 gallons on avg. ), its key to choose a model that has quick-filling, and draining. 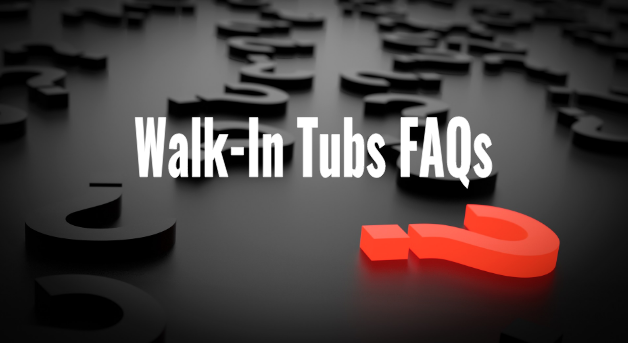 The best walk-in tubs on the market today take under 3min. to fill (179sec. ), and just over a min. to drain (80sec.). Most walk-in tubs will come with an integrated handheld shower, so users can shower safely while sitting in the comfort of their tub. An in-line heater is a must when it comes to keeping your bath water warmer for longer, while you soak. Walk-in tubs without an in-line heater are a no-no, as they often get cold in only 10min after filling. Heated seats are a welcome bonus when it comes to walk-in tubs, as they’re not found in every model. They are essential in keeping you warm and comfortable, while your bath water fills, from the second you enter the tub. Choosing the correct walk-in tub for your bathroom starts with making sure that its dimensions fit your room. Keep in mind, walk-in baths feature an inward-swinging, or an outward-swinging door, so you must take those dimensions into consideration. 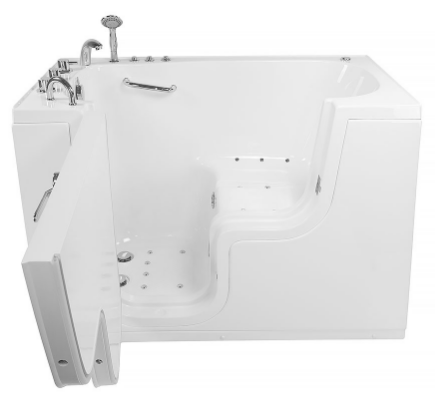 Most walk-in tubs on the market today will require 120V, or 240V input power, with dedicated circuits. 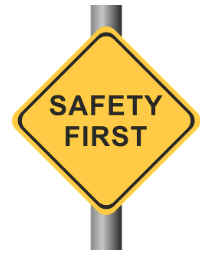 To ensure the safety of yourself, and your home, its best to utilize a licensed electrician to help with installation. 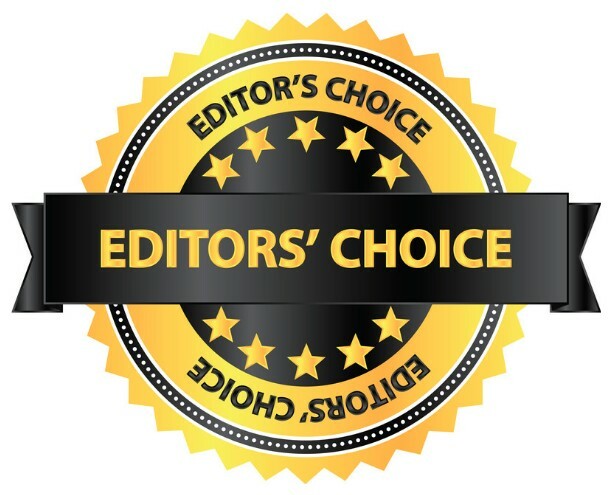 The #1 best walk-in tub 2019 has to offer is the Ella’s Bubbles – Malibu Hydro & Air Jets Walk-in Bathtub (OA3052DH-DC-L). If you’re looking for the best walk-in tub that money can buy, the Malibu stands above the rest because it holds safety as its first priority. Many walk-in tubs on the market today are not ADA Compliant, which means they have not been officially tested, and certified for safety, so its important to note that this Malibu Walk-In Tub, in fact, is ADA Compliant. Other standout benefits with the Malibu, include: having 2 stainless steel grab bars (most only have 1), its amazing foot massage system with chromotherapy, and its heated seats and backrests. The #2 best walk-in bathtub of the year, is the Ella’s Bubbles Deluxe Walk-In Tub. If you’re looking for the best value walk-in bathtub of 2019, this Ella’s Bubbles model earns our top pick. With its relaxation-inducing 22 jet system, ultra-fast dual drain technology, and option to add a heated seat (crucial for staying warm while your tub fills), the Ella’s Bubbles Deluxe comes packed to the rim with awesome benefits. The #3 best walk-in tub of 2019, is the Ariel Walk-In Bathtub (EZWT-3060). 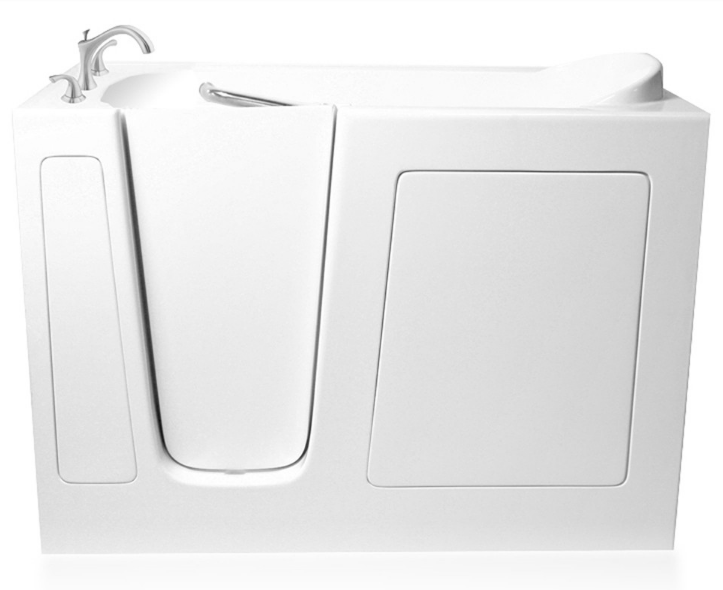 If you’re looking for the best cheap walk-in tub of the year, this Ariel model is our top pick. 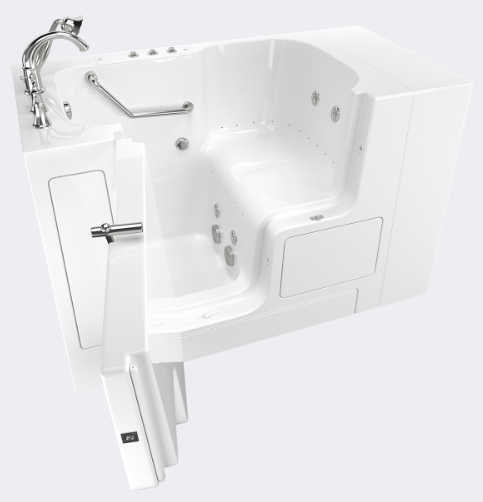 Compared to other walk-in tubs on the list, the Ariel (EZWT-3060) doesn’t have a hydrotherapy system, or many other bonus features. However, if safety is your #1 priority, and managing your budget is your #2 priority, the Ariel (EZWT-3060) is a fantastic option. 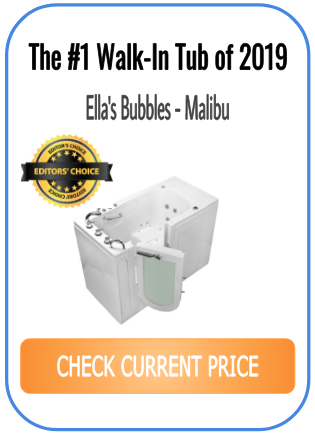 The #4 best rated walk-in tub of 2019, is the Ella’s Bubbles Companion Massage Walk-In Tub. 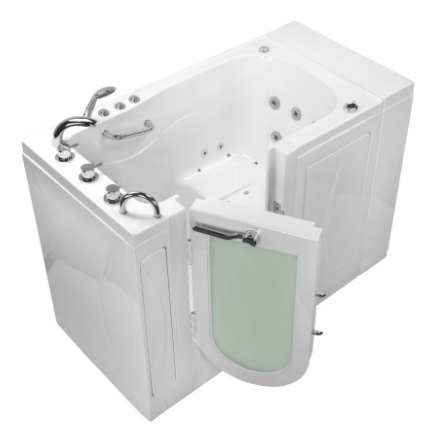 If you’re looking for the best 2-person walk-in tub on the market, this is our top choice. Given the Companion’s large capacity, that comfortably fits two, its super important to consider its draining speed. Luckily, using its Dual Drain Technology, the Companion Walk-In Tub only takes around 80sec to drain (@ ideal home plumbing conditions). 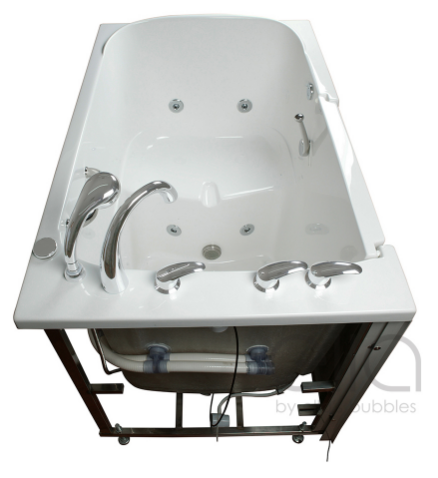 The #5 best walk-in bathtub, is the Ella’s Bubbles Ultimate Air/Hydro/Foot Massage Walk-in Bathtub. 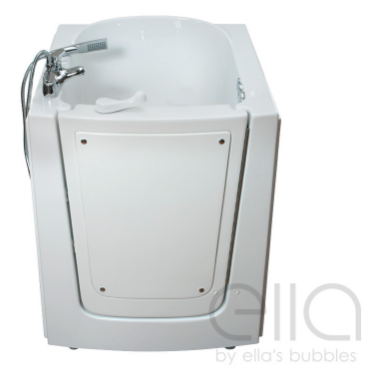 If you’re looking for one of the best luxury walk-in tubs, that money can buy, the Ella’s Bubbles Ultimate earns our top spot. Compared to other walk-in tubs on our list, the Ella’s Ultimate is superior when it comes to its hydrotherapy jet system, chromotherapy light system, and independent foot massage. At #6 on our countdown of the best walk-in tubs of 2019, is the American Standard Value Series Walk-In Whirlpool Tub [32″ x 52″]. If you’re looking for one of the best wheelchair accessible walk-in tubs on the market, the American Standard Value Series takes the cake. While its not officially ADA Compliant, its still designed specifically for those in wheelchairs, with movement impairments. Compared to other walk-in tubs on our list, they key difference to note, is its specially designed door, that allows users to slide sideways into the tub, without the need to stand completely upright. The #7 best walk-in tub of 2019, is the Ella Transfer60 Walk-In Tub. If you’re still looking for the best wheelchair accessible walk-in tub, but want something a little more luxurious, the Transfer60 is a great option. Compared to our previously reviewed top-rated wheelchair accessible walk-in tub, the Transfer60 is going to be more spacious, has one additional grab bar to increase safety, and has superior warranty coverage. The #8 best walk-in tub of the year, is the American Standard Value Series Walk-In Whirlpool Tub [30″ x 52″]. If you’re still looking for a wheelchair accessible walk-in tub, and our first two wheelchair accessible tubs weren’t your flavor, maybe the smaller American Standard Value Series [30″ x 52″] could be your match made in heaven. With the Value Series’ safety grab bar, specially designed l-shaped door, textured non-slip floor, and its 27 massage jet system, users can gain back independence, while enjoying a stress-relieving soak. The #9 best rated walk-in bath, is the Ella’s Bubbles Bariatric Walk-In Tub. 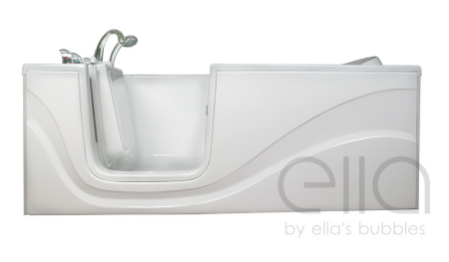 If you’re a larger sized individual, or someone that has trouble getting in and out of smaller tubs, the Ella’s Bubbles Bariatric Bath might be the one of you. 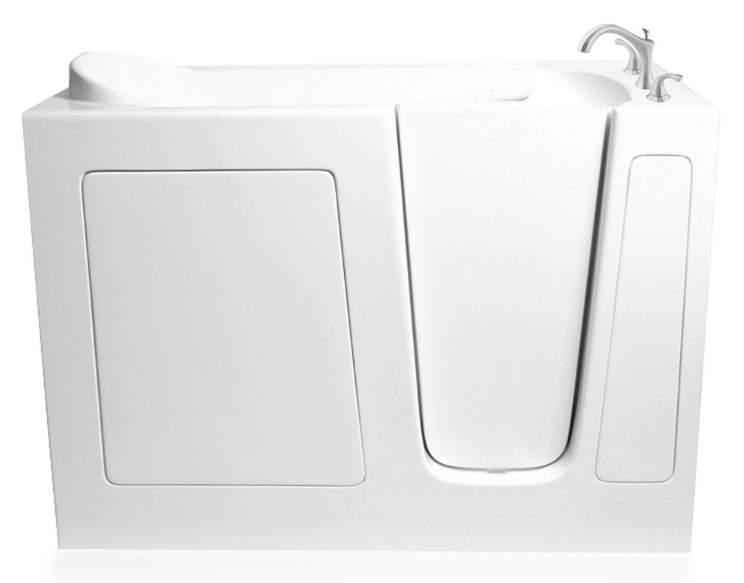 With its 35″ extra-spacious width, combined with its option to have either air jets, or a dual jet system, the Ella’s Bubbles Bariatric Tub is fully-loaded, and provides an excellent option in contrast to smaller tubs that just won’t do. 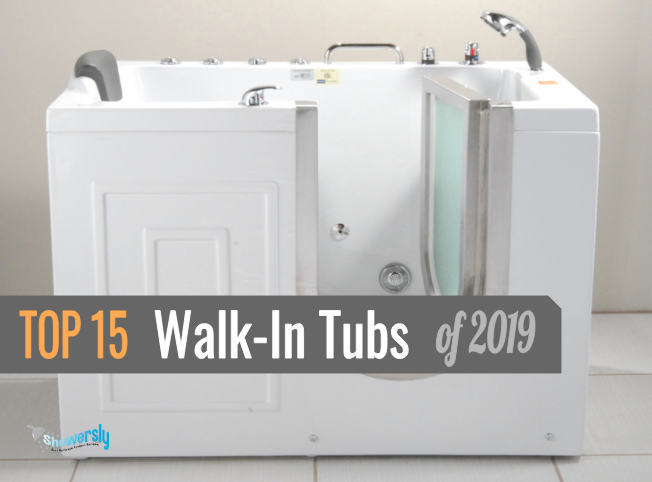 The #10 best walk-in tub of 2019, is the Ella’s Bubbles Bariatric Whirlpool Walk-In Tub. 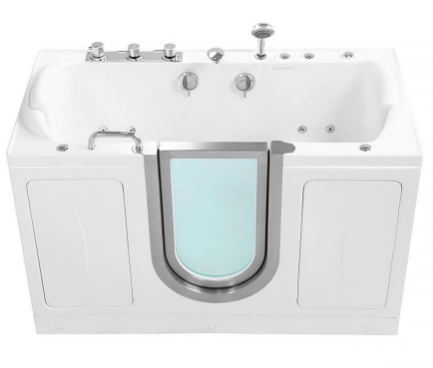 If you’re looking to select the best bariatric walk-in tub on the market, and the previously reviewed bariatric tub was too pricey, this Ella’s Bubbles Bariatric Whirlpool Bath provides excellent value, and might be the tub for you. 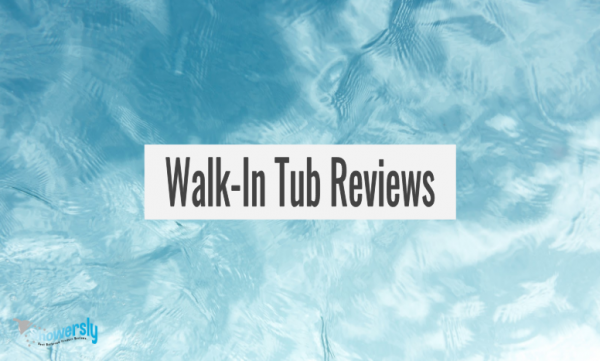 Compared to our previously reviewed Ella’s Bubbles Bariatric Walk-In Tub, this model only has the option to come with hydrotherapy water jets, hence the lower price tag. Also, because there’s only hydrotherapy water jets, this model runs at the more standard 12oV input voltage, that’s usually readily available in most homes. 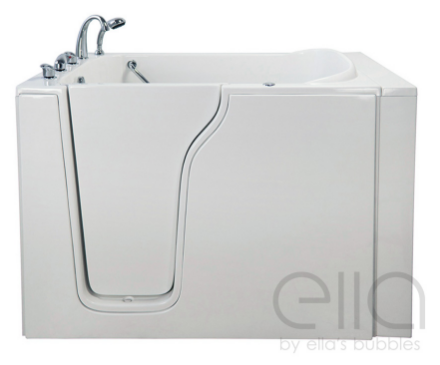 The #11 best walk-in bathtub, is the Ella’s Bubbles Front-Entry Whirlpool Tub. If you’re looking for the best front-entry walk-in tub of the year, the Ella Walk-In Tub is our top pick. Front-entry walk-in tubs have the benefit of smaller dimensions, made specifically for bathrooms that have a space limit. Also, their front-entry design gives users an alternative entry method, in contrast to more popular side-entry walk-in tubs. The #12 best walk-in tub of 2019, is the Ella’s Bubbles Walk-In Lay-Down Hydrotherapy Bath. If you’re looking for the best lay down walk-in bathtub of the year, this Ella’s Bubbles model earns our highest regards. This tub is specially designed for individuals who still want to lay down, to enjoy a nice soak in the bath, but require more safety features, like a low step-in threshold door. 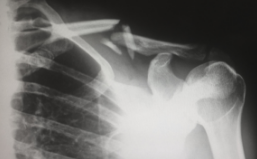 To be clear, this model requires more mobility for use, as you must be able to lay down using your arms as supports, so use only if you’re able. The #13 best rated walk-in tub of the year, is the American Standard Premium Series. If you’re looking for a top-quality luxury walk-in bath, the American Standard Premium Series deserves to be on your radar. When compared to other walk-in tubs on the list, the American Standard Premium Series has them beat, when it comes to comfort. It’s rare to find walk-in tubs that come with a padded neck pillow (usually have to purchase separately), and targeted lower back jets, six to be exact. The #14 best walk-in bath of 2019, is the Ariel Bath Walk-in Bathtub (EZWT-3054-SOAKER-R). If your bathroom is smaller in size, and you only have a little space to work with, this Ariel Bath model, with dimensions at 54 x 30 x 39 inches, can be a great option for you. 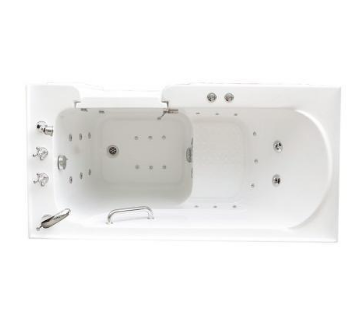 Also, this Ariel Bath Walk-In Bathtub is ADA Compliant, so you know that its design has been checked for quality, and certified appropriately. 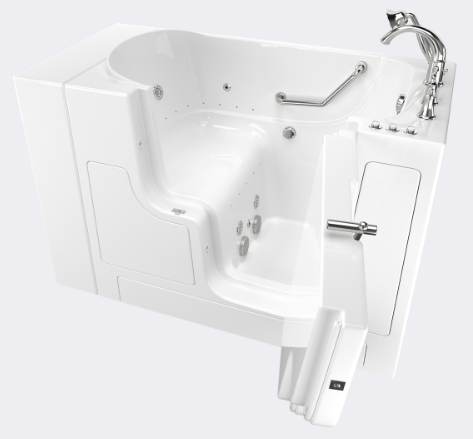 To finish off our list with a bang, is #15 best walk-in tub of the year, the Signature Bath Walk-In Tub (LPI4730-C-RD). If you’re looking for a smaller sized walk-in bathtub, but you don’t want to miss out on hydrotherapy benefits, this Signature Bath Walk-In Tub may be right up your alley. Its stainless steel 25 jet system, stays cleaner for longer, and feels like a dream, when it massages away tension build up, that’s often found after a day’s hard work. Walk-in bathtubs are generally not covered by Medicare. This is because original Medicare does not consider walk-in baths to be, “durable medical equipment.” Therefore, they will not pay for the cost of the tub, or installation. What is the average cost of a walk-in tub? The average cost of a walk-in tub is around $2,000-$6,000. Installation costs for these tubs usually range from $1,000-$3,000, the latter being if the tub has a hydrotherapy system. Most walk-in tubs hold around 40-80 gallons of water. Standard bathtubs, in comparison, only hold around 25-50 gallons of water. How long does it take for a walk-in tub to fill up? On average, a standard walk in tub takes 4-7 minutes to fill up. The best walk-in tubs on the market cut that time down to just under 3 minutes. If the walk-in tub is purchased for medical safety reasons, it can be considered a medical expense. This means, materials and installation costs for walk-in tubs are tax deductible, under Medical Expenses. When choosing the best walk-in tub for your bathroom, its vitally important that you take all the necessary safety precautions. These walk-in tubs are usually much heavier than your standard bathtubs, especially when filled with water, and often contain hydrotherapy systems, which have electrical requirements. As you know, water and electricity do not mix, so installing the unit properly is a must. 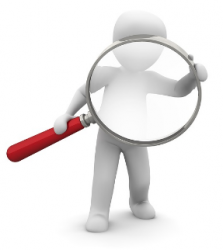 To ensure proper installation, its recommended that you utilize a licensed plumber, and a licensed electrician for help. Those are absolutely terrifying statistics, but the good news is that the use of walk-in tubs for those who need them help to reduce these numbers. 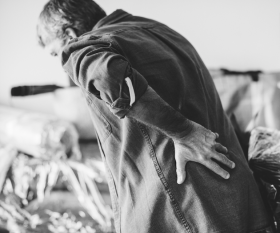 As people age, inevitably, they’ll start to lose mobility. Whether its driving a car, or taking a bath, losing your ability to do “normal things,” is not fun. With that said, the addition of the right walk-in tub can help to put the power back in your hands, and bathe safely, independently, and with more confidence. According to Paying For Senior Care, in special cases, walk-in tubs are deemed tax deductible as a Medical Expense. This includes materials, and installation costs, so if your approved, this can be a huge way to save money. You’ve just successfully completed your research on the best walk-in tubs that 2019 has to offer. After reading my walk-in tub reviews, and buyers’ guide, you should be left with some great options to help make your bathroom safer. All in all, if I had to choose one walk-in bathtub for seniors, or anyone that’s mobility impaired, I’d choose my #1 rated: Ella’s Bubbles – Malibu Hydro & Air Jets Walk-in Bathtub (OA3052DH-DC-L). Its ADA Compliant for safety, at an affordable price, and has a wonderful hydrotherapy system for the cherry on top. Wanting to create the bathroom of your dreams? Check out more top-rated bathroom stuff, by clicking below!